Musician, author, and human rights activist who often toured and recorded with her famous brother. Her formal education was sparse with her parents distrustful of public education. She began piano at age four, giving her first recital at the age of eight. She was deeply impacted by a 1947 visit to the Theresienstadt concentration camp, gaining a deeper appreciation for her Jewish heritage. 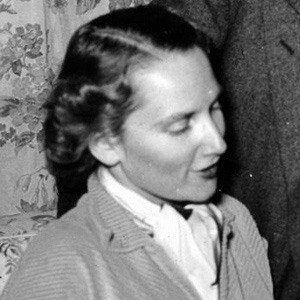 Her brother was famed violinist Yehudi Menuhin and her sister was admired poet Yaltah Menuhin. She was involved with the Australian premiere of Bela Bartok's Second Piano Concerto.